The Barnsley hotels listed below are either in the town or we have given a rough guide as to how far they are from Barnsley. We hope you enjoy your stay and find your ideal accommodation. Station: Dodworth. 5miles. The hotel is situated adjacent to junction 37 M1. The Holiday Inn Barnsley, is a modern hotel off the M1 motorway at Jct. 37 conveniently located between Sheffield and Leeds. You'll be met with outstanding service, a spacious bedroom with ergonomic workspace, cotton linen and high-speed internet access. Station: BARNSLEY. 4miles. Leave the M1 at junction 37 (signposted Barnsley / Manchester A628). Head west bound (signposted Manchester). After 100 yards you'll come to a roundabout (signposted Dodworth left and Manchester right). Take the first exit (left) to Dodworth. You'll then immediately arrive at a second mini roundabout. Take the 2nd Exit (right) and travel for 200-300 yards. The entrance is just on the left. Holiday Inn Barnsley has free parking and free access to an on-site Bannatyne's Health Club, with pool, spa, sauna and gym. Just off the M1 motorway, between Sheffield and Leeds. With good access to the M1 motorway for Sheffield and Leeds, and within easy reach of Barnsley and Rotherham, this modern hotel offers comfortable, great-value rooms and free parking. 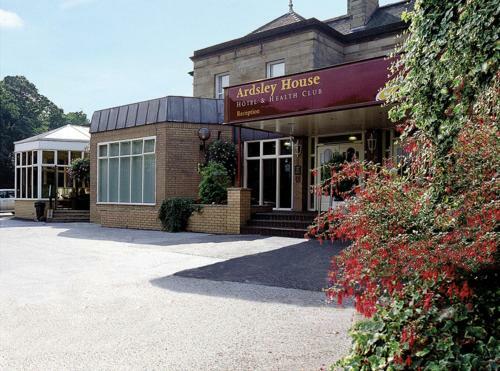 In a Georgian building, 2 miles from Barnsley, Best Western Ardsley House Hotel is a 20-minute drive from the North Peak District. There is a traditional restaurant and modern fitness centre. Ramada Encore Barnsley is a contemporary, stylish hotel, with easy access to the M1. Meadowhall Shopping Centre in Sheffield is conveniently a 15 minute drive away. Built around a former 17th century residence and still retaining much original character, with beautiful oak beams, this mellow Yorkshire stone 4-star hotel is ideally located for visiting Barnsley, Sheffield and the stunning Peak District. A 5-minute walk from the town centre, Premier Inn Barnsley Central M1 J37 has modern en suite rooms and a 24-hour reception. Barnsley Rail Station is within easy reach. 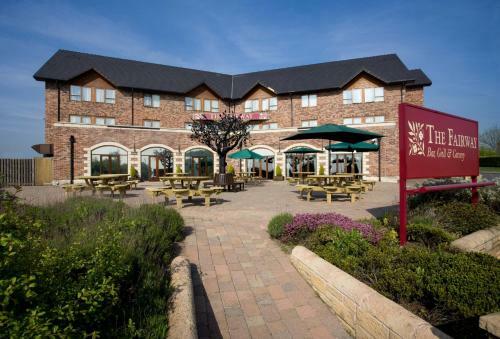 For hotels accommodation in other areas nearby see Sheffield hotels & Doncaster hotels.